The primary mission of Rockford Living Magazine is to help encourage tourists and Rockford area residents to do more business with Rockford area businesses. This publication informs local residents about the many goods and services, community events, activities and recreational opportunities that are available right here in the Rockford area. Printed in full color with feature articles and photography of all participating businesses, Rockford Living Magazine is an indispensable guide to the Rockford area and the best way to reach people who are most likely to do business with you. 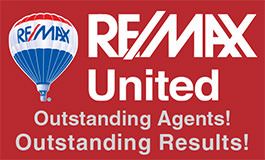 Rockford Living Magazine is delivered by the U.S. Postal Service in June to every household and business in the greater Rockford/Belmont/Cannonsburg area, an area which roughly corresponds with the borders of the Rockford School District. As part of the Pure Michigan marketing program, Rockford Living Magazine is distributed at all MDOT Welcome Centers across the state. The added distribution helps attract more families and businesses to the Rockford area and helps bring more tourist dollars into our local economy. The editorial content of Rockford Living Magazine is structured around the events, activities, services and businesses that make the Rockford area such a great place to live, work and play. Organized by related business categories, most of the magazine is devoted to Feature Sections showcasing the greater Rockford business community. This is your opportunity to introduce your business to every resident in the greater Rockford area–and tell your story the way you would like it told. With the professional services of our editorial staff, your business will receive the exposure it deserves with full color photography and a feature article written exclusively for you. The content of your article and the amount of editorial space you want to reserve is entirely up to you. Your article. Your way. 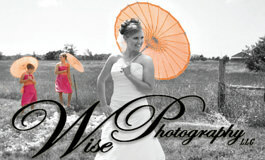 Professionally written, photographed and designed. 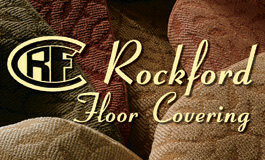 Rockford Living Magazine offers a great opportunity to promote your business with traditional display advertising. A limited number of special full-page cover positions are available, plus a wide range of positions within the publication ranging from 1/4-page to full-page. All advertisements are full color. Rockford Living Magazine is addressed by head of household name and mailed in June to every household and business in the Rockford, Belmont and Cannonsburg areas. This is an area which roughly corresponds with the borders of the Rockford School District. The mailing list is purchased from the U.S. Postal Service and is the most current and accurate mailing list available.